Apple hasn't violated any Samsung patents according to a preliminary ruling from the International Trade Commission. Judge James Gildea handed down the ruling today that Apple's iPhones, iPads and iPods didn't infringe on four Samsung patents involving 3G technology. Samsung filled the complaint with the ITC in mid-2011, asking for a ban of all United States sales of the mobile devices. Apple and Samsung have been duking out patent disputes in 10 countries for some time now. In August, a US court awarded Apple more than $1 billion (£660 million) in damages citing Samsung infringed on Apple's design patents. 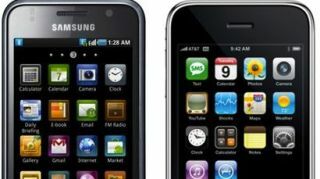 Earlier in August, a South Korean court ruled that Apple and Samsung infringed on each others' patents. The court made Apple pay Samsung 40m South Korean won (£22,000, $35,000) and Samsung pay 25m won (£14,000, $22,000) in damages. Meaning Samsung came ahead 25m won. However, the court battles are far from over. The ITC is expected to have a full commission weigh in on the ruling in January and will either uphold or overturn the decision. Also, Samsung is due back in US courts December 6 to see if any of eight devices will be banned from US sale. Samsung has also threatened to sue Apple over LTE patents. We may see those threats come to fruition since the newly announced iPhone 5 contains LTE technology.